Liverpool Tattoo Convention celebrates its 11th year anniversary this May, Getintothis’ Peter Goodbody is torn between a butterfly on the ankle or a tramp stamp. Fancy some new ink? We’ve got just the plan at the end of the page. 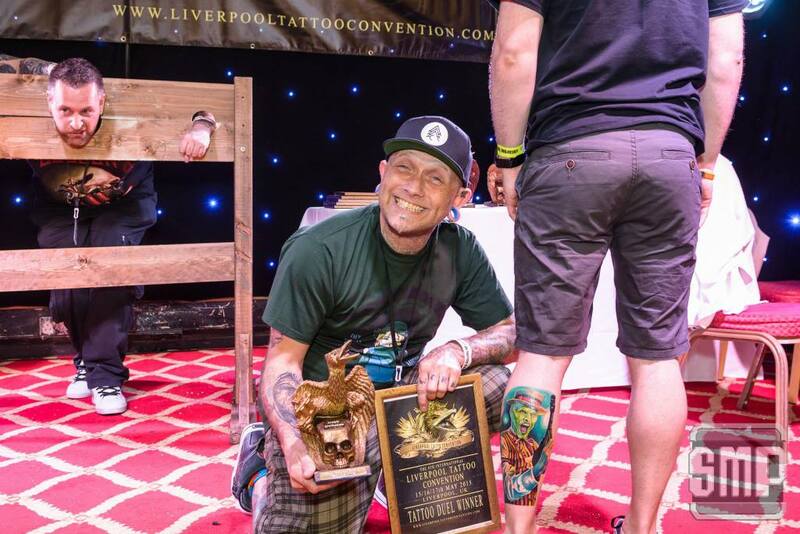 The Liverpool Tattoo Convention is a great opportunity to get tattooed by some of the world’s finest artists and promises to be a weekend to remember and a true celebration of the art of tattooing. 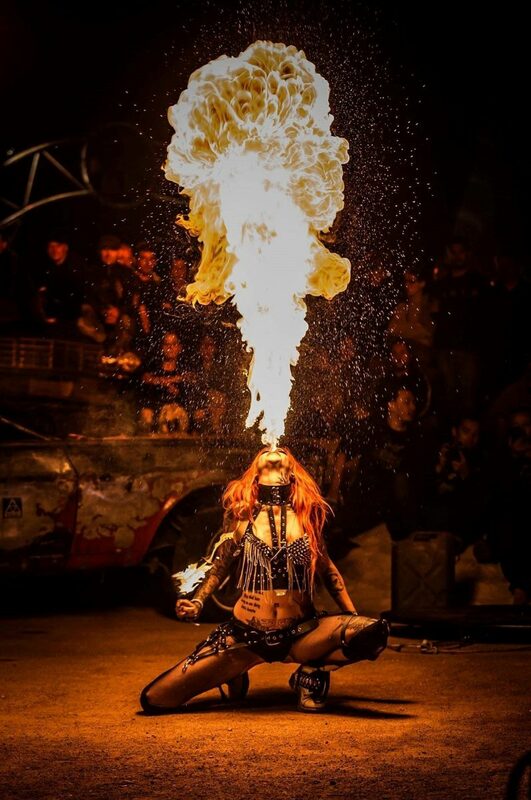 But there is more to this event than just tattoo work, with a massive music line up of bands including Evil Blizzard, Queen Zee, Seas of Neptune, Voodoo Blood, Chasing Dragons and many more, including a rock karaoke “until late”. The tattoo duels sound intriguing as artists are lined up against each other, working within a theme and a tight time frame to produce the best tattoo. The winner is decided by audience ballot. We’re told the loser has a forfeit. Last years forfeit was the stocks (see above). Nuff said. Other mayhem includes a best beard competition, The Cunning Stunts Cabaret made up of two members of a circus family who perform unique, unusual and unbelievable circus acts and sideshow stunts, and “Blood in the Basement”. The mini-horror con, where you should expect “Horror Movies, Horror Workshops, Horror Market Stalls, Horror Games, Horror Exhibitions and much more“. We’re sold. 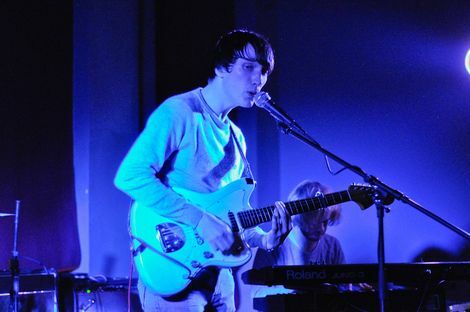 This all happens at Liverpool’s Adelphi Hotel between May 4 – 6. Please do let us know if you go and get a new sleeve, or just a butterfly on your ankle. This looks like it should be an event that caters for every (well, most) tastes. Well, OK. Not all. It’ll be boss, though. And if you’re stuck for some inspiration, we mined Instagram, so you don’t have to.